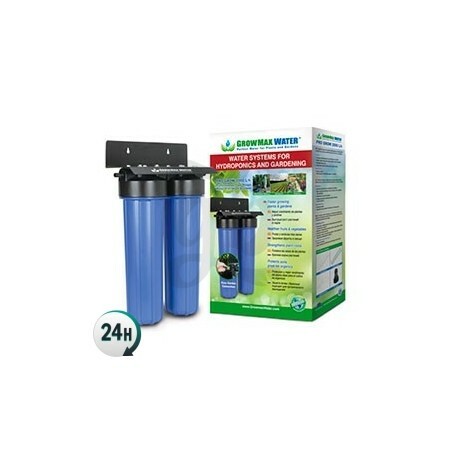 Pro Grow 2000 is a filter for irrigation water. It will eliminate up to 99% of undesired particles present in tap water such as sodium, lime or pesticides. When we need to supply an important volume of irrigation water to our plants, we can resort to Pro Grow 2000. This filter will supply us with 2000L/h of maximum quality water. 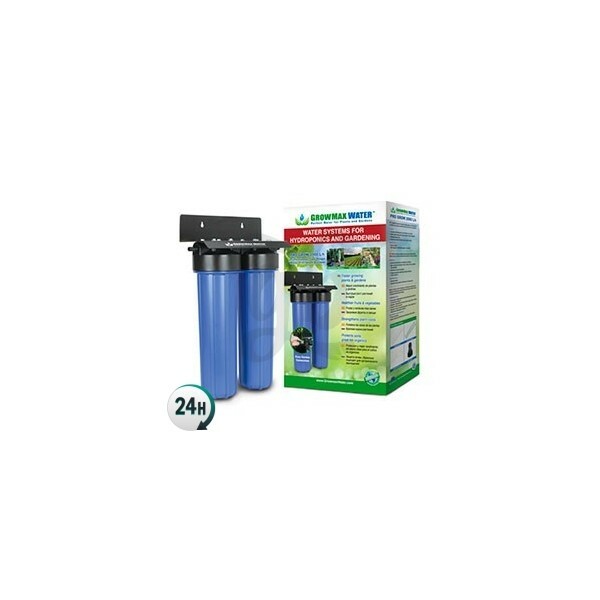 It consists of a filtering system with carbon, able to eliminate particles above 5 microns instantly. Therefore, it manages to remove chlorine entirely from our irrigation water. It works perfectly in areas where we don't need to lower Ec and all we have to eliminate is chlorine. Reducing chlorine in irrigation water will have very positive effects on our plants and we'll see how they look much healthier. Pro Grow 2000 will be particularly helpful for commercial growers with large grow rooms. It can filter up to 50000L per day. Water will be clean and pure, perfect to irrigate our plants which will make the most of nutrients. Since nutrient intake improves, we will need smaller amounts of fertilizer to get the same results (actually, results will be much better). Yields will improve notably and roots won't be threatened by chlorine. Besides, many more microorganisms will be available. Ec y todo perfecto con agua de osmosis.